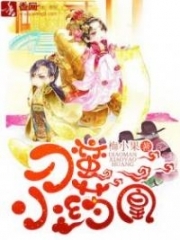 You’re reading novel The Demonic King Chases His Wife: The Rebellious Good-for-Nothing Miss Chapter 153 online at LightNovelFree.com. Please use the follow button to get notification about the latest chapter next time when you visit LightNovelFree.com. Use F11 button to read novel in full-screen(PC only). Drop by anytime you want to read free – fast – latest novel. It’s great if you could leave a comment, share your opinion about the new chapters, new novel with others on the internet. We’ll do our best to bring you the finest, latest novel everyday. Enjoy! From the doorway, Su Wan’s face displayed malicious intent. Su Wan unhurriedly walked in and looked everywhere. She could not find Su Luo’s figure, so her already eighty percent certainty went up to one hundred percent. In regards to Su Luo’s recent temperament, she would not be very easy to bully. However, her door had been smashed to pieces yet she still hadn’t come out. The only possibility left was that she really was not here! “No, no! The third Miss looks as beautiful as a flower, rarer than any under the heavens. You absolutely are a beauty among the beautiful people!” Lu Luo earnestly praised while her heart secretly complained. What was up with the third Miss? Why hadn’t she left yet? Lu Luo clearly was not adept at lying. Her parched tone of voice and body language revealed too much, especially her insufficient voice and lack of confidence. Lu Luo secretly bitterly complained in her heart. Could it be that the third Miss had come prepared? Her words clearly meant to insinuate something. “The fourth Miss also has done nothing wrong!” Lu Luo stated with a deadpan expression, her tone was resolute and decisive. In the end, she even solemnly nodded her head. “Tell your Miss to come out. As sisters, the two of us should spend time together. Perhaps she can coax this lady into a good mood, then this lady will have mercy and say something good in front of father to release you guys from this courtyard.” Su Wan darkly pressured Lu Luo even more. Lu Luo’s heart became even more wretched. If her Miss could come out, she would have appeared already. Why would she need to watch you, the third Miss, strut around? Miss, ah, Miss, if you don’t come out now, there won’t be another chance to come out again. 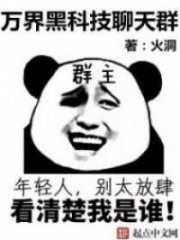 Also, you will never get another chance to see your servant Lu Luo again…. Su Wan sinisterly swept Lu Luo a glance, her footsteps never stopped and she unhurriedly walked around. She looked in all directions while walking and finally walked into Su Luo’s inner room. Lu Luo’s heart became extremely nervous, her body was also trembling uncontrollably. She will definitely die, maybe today she would be flogged to death…. Lu Luo’s sweat kept dropping down from her forehead, her chest and back were soaked through with cold sweat. Lu Luo closed both eyes as if waiting for death to arrive. Time seemed to have frozen at this moment. It was a huge bedroom, a quick glance showed the room contained a few very old-fas.h.i.+oned and broken pieces of furniture. Simply looking, a person could take everything in at once but there wasn’t a trace of Su Luo’s silhouette. Good, very good. That s.l.u.t Su Luo was definitely not here! At this moment, Su Wan ‘s entire body seemed to relax. She appeared to be as cheerful as the clear and boundless sky. She turned her head and with a face full of smiles looked at Lu Luo. Her smiling expression was sinister and cold-blooded. As sharp as a sword tip, it pierced at Lu Luo’s heart. “Ah ha ha ha, good, very good!” Su Wan did not say another word. She simply turned and left. Su Luo had dared to secretly sneak out of the family home during her confinement period. This offense was more than sufficient to get her kicked out of Su family. After confirming the facts, Liu Ruohua’s words were eighty percent trustworthy. In that case, added to Su Luo’s crime was that she had dared to offend the Jade Lake’s Fairy….chuckle…Su Luo, ah, Su Luo. After you return, you’ll have to suffer and just wait for father to tie you up and bring you to the Jade Lake Palace to apologize for your crimes! You're reading novel The Demonic King Chases His Wife: The Rebellious Good-for-Nothing Miss Chapter 153 online at LightNovelFree.com. You can use the follow function to bookmark your favorite novel ( Only for registered users ). If you find any errors ( broken links, can't load photos, etc.. ), Please let us know so we can fix it as soon as possible. And when you start a conversation or debate about a certain topic with other people, please do not offend them just because you don't like their opinions. You're reading The Demonic King Chases His Wife: The Rebellious Good-for-Nothing Miss Chapter 153. This novel has been translated by Updating. Author: Su Xiao Nuan,苏小暖 already has 14176 views. Current Time is Apr-22-2019 22:35:23 PM.